I've been thinking to create a new blog. I finally did it today! You can click the red link above or click on my photo in my side bar to go there. I'll be moving the love songs I've posted here to the new blog. The Moon Represents My Heart is done with Simplified Chinese and pinyin tones. 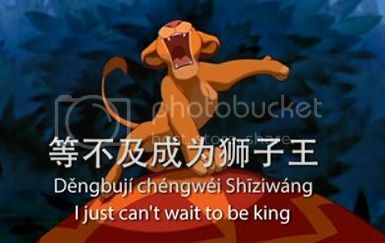 My old posts have no Chinese characters and pinyin tones. I'll be updating each of them. In the right side bar of the new blog, there's "Song List" for you so you can see what I have posted. Thank You so much for reviewing my site Pilland (LinkReferral) and for adding Your account among the followers. Your blog is greatest indeed. Congratulations! I invite You to visit my Italian/Estonian site about the borders. I am sure You'll appreciate the viewn of borders of PR od China (click on "Cina RP") with North Korea, Russia, Kasakhstan, India, Myanmar and Vietnam. Hey, I just took a look at your lovesong blog and I have to say that I really love it. I've been looking quite a while for Chinese love songs but they are very hard to find where I live so I would like to thank you for it. I will definitely be coming back here.